Four to eight children can play at this station at one time. 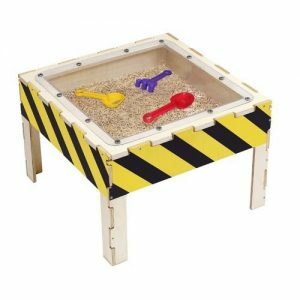 Mix and match sand and water play in each of the four bins. 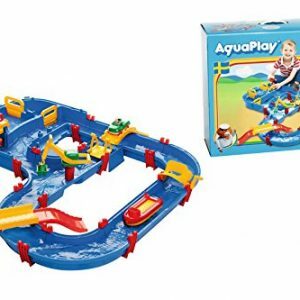 Aquaplay water canal system for hours of fun! Extendable! 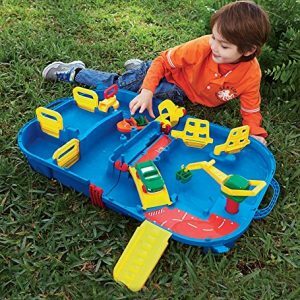 Easy to add any Aquaplay set or extension. 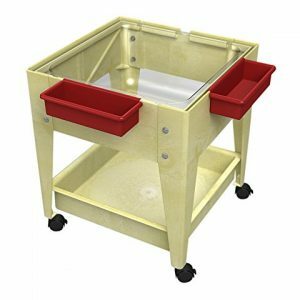 Extendable – Great starting set for adding extensions and exciting accessories. 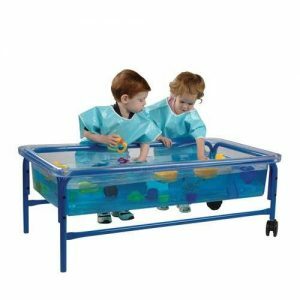 Discover the fun of bathing! 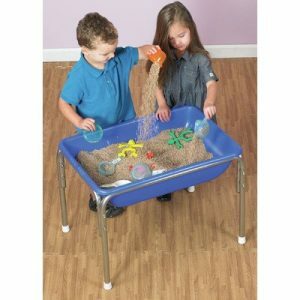 Not only for sand, but also can be used to play water. 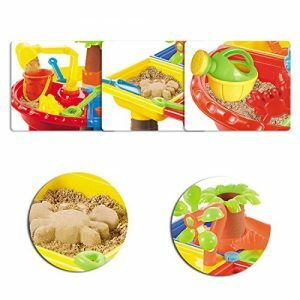 Fun and colorful 24 pieces beach sand toy set for a creative day at the beach. 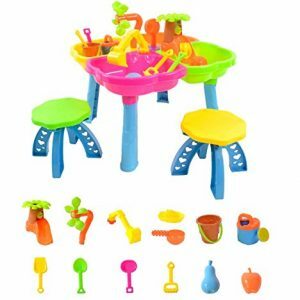 Includes:Sand Rake, Sand Shovel, Sand Spoon, Sand Colander, Stand Column, Stool Cover, Bucket, Watering Pot, Square Table Top, Screw, Peak Decoration. 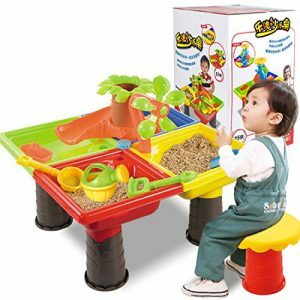 4 SECTION SAND & WATER ACTIVITY TABLE – 4 separate activity sections in which to explore and play with. 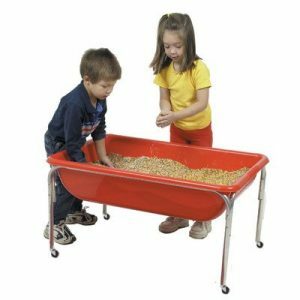 4 non-linked sections mean you have the benefit of choosing to fill each section with water, sand, soil, pea shingle, leaves, grass, twigs or whatever you can think of. 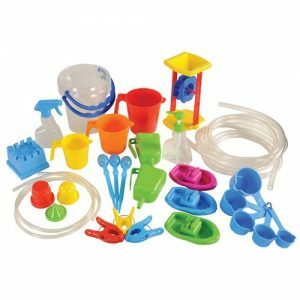 13 SAND & WATER ACCESSORIES – 13 great play accessories which include: WATERING CAN – CASTLE SAND BUCKET – WATER WHEEL – WATER SLIDE – DIGGER – BOAT – SPADE – SPOON – RAKE – SIEVE – WATER SCOOP – APPLE & PEAR SAND MOLDS. 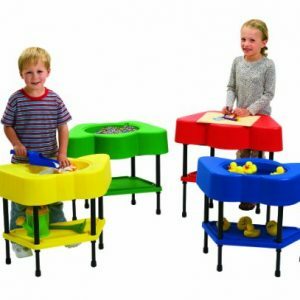 2 STORE-AWAY STOOLS – Supplied with 2 foldaway stools so children can choose between sitting or standing when exploring the activity table. CASTLE SAND & WATER ACTIVITY TABLE – A large moat activity play table in which to explore and play with. A central castle section with a large moated area allowing you to fill it with water, sand, soil, pea shingle, leaves, grass, twigs or whatever you can think of. 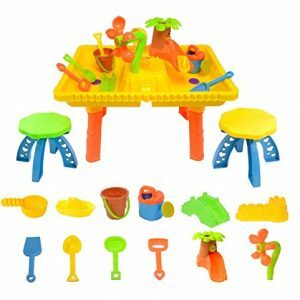 12 SAND & WATER ACCESSORIES – 12 great play accessories which include: WATERING CAN – CASTLE SAND BUCKET – WATER WHEEL – WATER SLIDE – BOAT – SPADE – SPOON – RAKE – SIEVE – WATER SCOOP – CASTLE & BRIDGE SAND MOLDS. 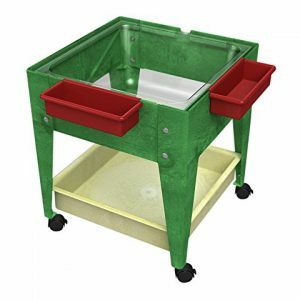 A great addition to your classroom environment, Made tough and moisture-resistant. Four Easy-ride locking casters make for super mobility. 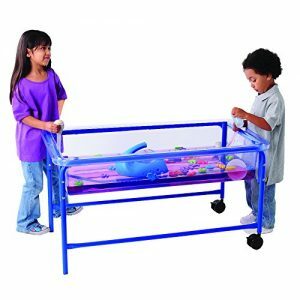 Great for indoor/outdoor use without worry. Multifunctional Remove the easel and you have a Clear-View Mite with a 9″ deep tub with a drain plug. 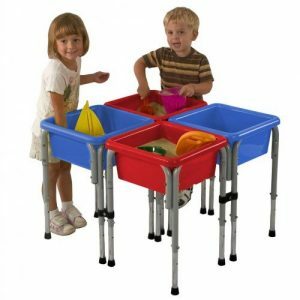 Includes 2 Super Caddies, 12 easel clips, Mega-Tray, and white plastic lid. 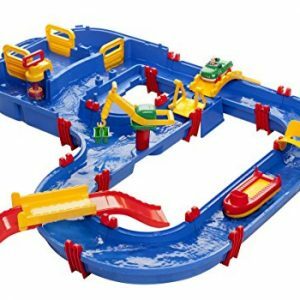 Easy to clean, Made of tough and moisture resistant resins. 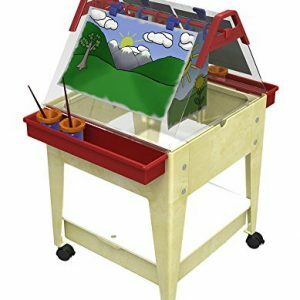 Dimensions: 36l x 24w x 24h. 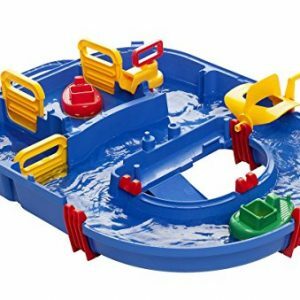 Gives children all the right tools necessary to experience water play in multiple ways! 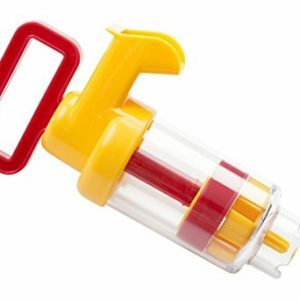 Includes tools for squirting, pouring, measuring, and more. 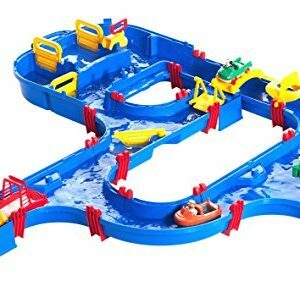 Sized right for small hands.